The Fern Room is our only first floor guest room in the main house. 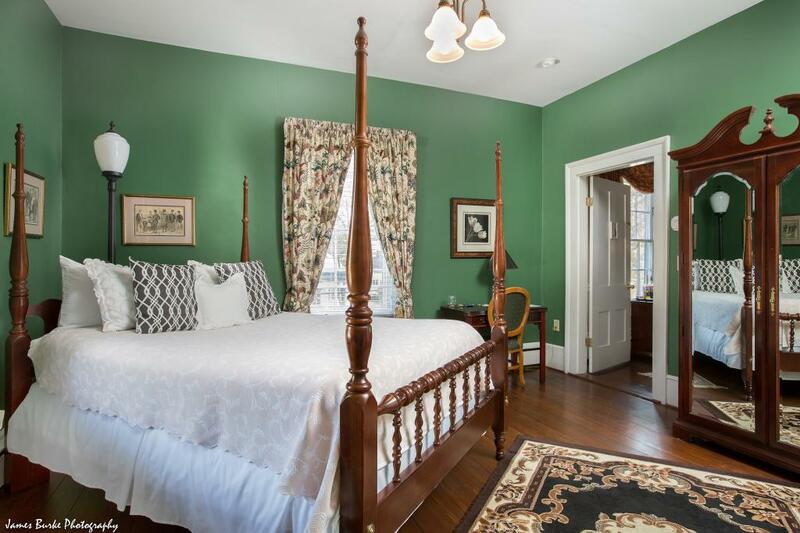 Relax on a stately framed bed with luxurious pillow top mattress, surrounded by soft, sage green walls. 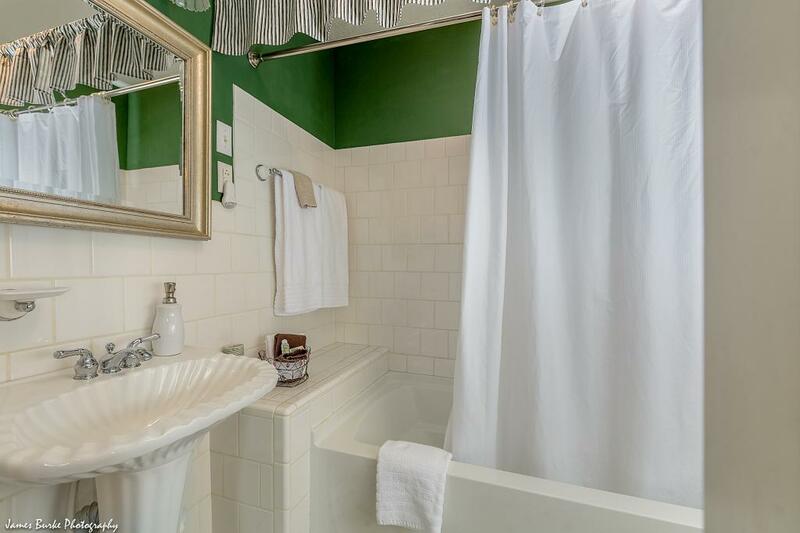 The Fern room also offers a private tub and shower, a large walk-in closet, a work desk, and high-speed wifi. 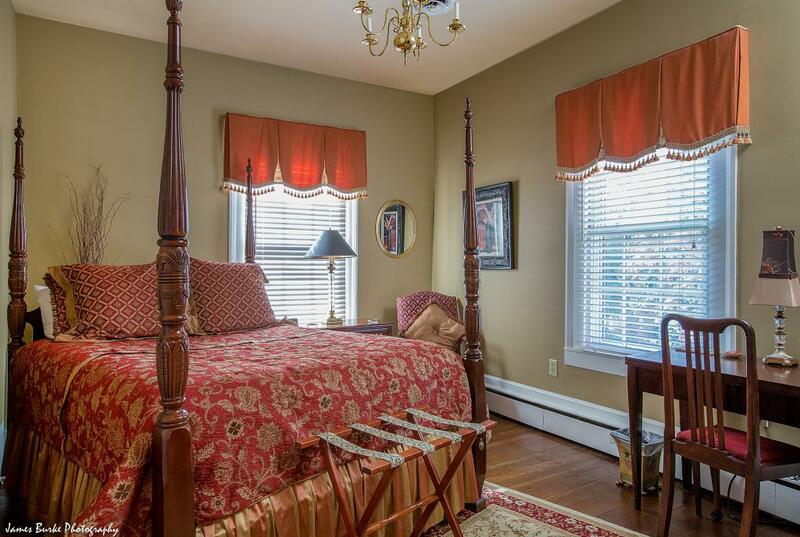 The Fig room is elegantly appointed with custom bedding, window treatments, and coordinating bathroom decor. The warm palette comforts guests as they read peacefully in the reclining chair, or gaze out the window into the garden. There is a queen bed and a private bathroom with tub and shower, desk, high-speed wifi, and in-room climate control. 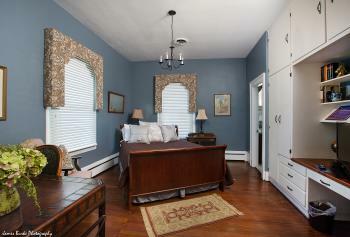 Our Iris room is deep blue with chocolate accents. The built-in bookcase gives this suite a vintage feel. 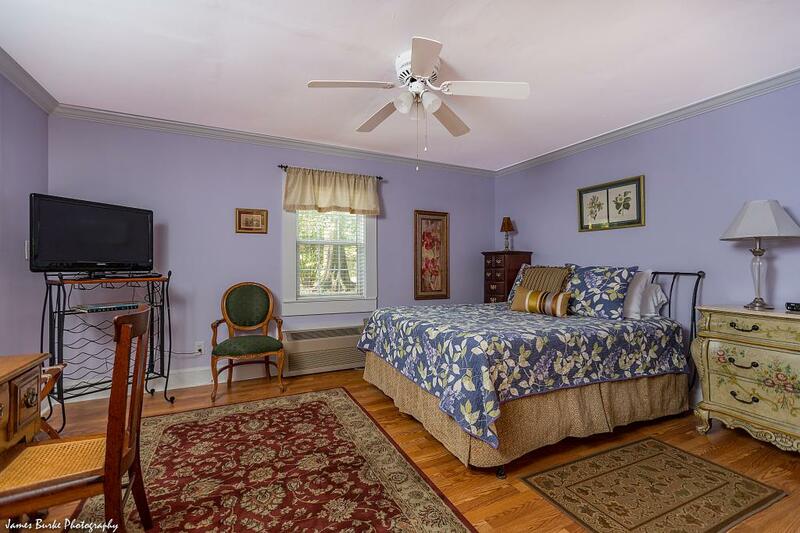 The queen sleigh bed has soft sheets with a hint of lavender. This bathroom has a stall shower. There is a large desk, high-speed wifi, and in-room climate control. The Ivy Room has rich, deep green walls with fresh black and white accents. 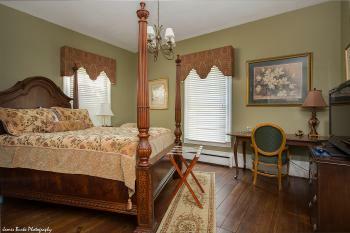 It is furnished with a queen bed, crisp sheets and luxurious pillows. Other room amenities include a reading chair, desk, high speed wifi, and in-room climate control. 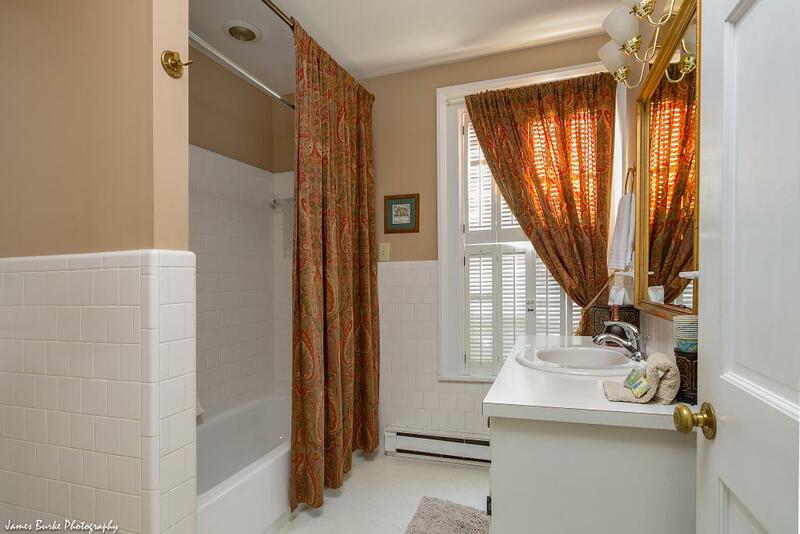 The private shower features a deep tub. Camellia’s red walls create a romantic, passionate atmosphere. This suite is popular with honeymooners and anniversary couples, and offers a spacious layout with a large walk-in closet, desk, and high-speed wifi. The queen bed has crisp cool sheets, and in-room climate air control. 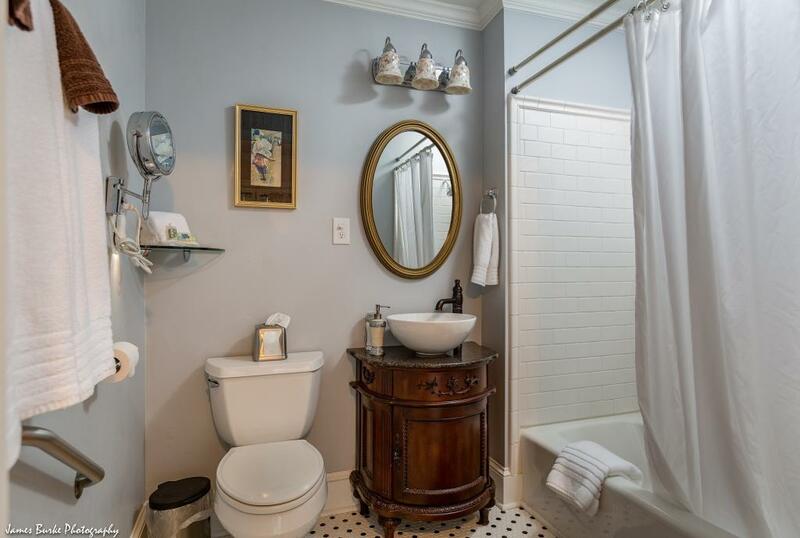 The private bathroom features a stall shower and dual sink. A rollaway can be added for a fee. 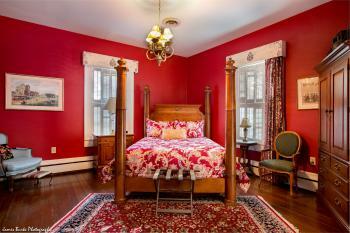 The Cottage is a separate dwelling with a queen bed and sitting area. 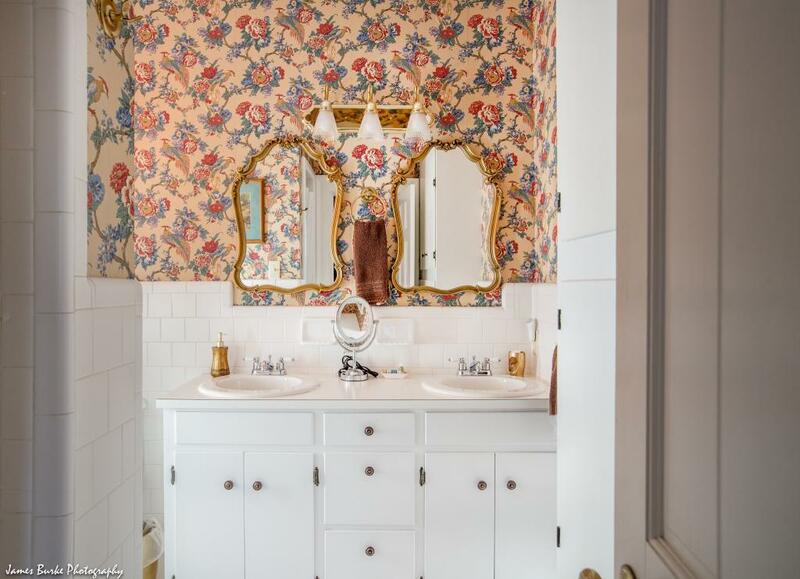 The bathroom has a tub and shower. Great for long term stays and pets. 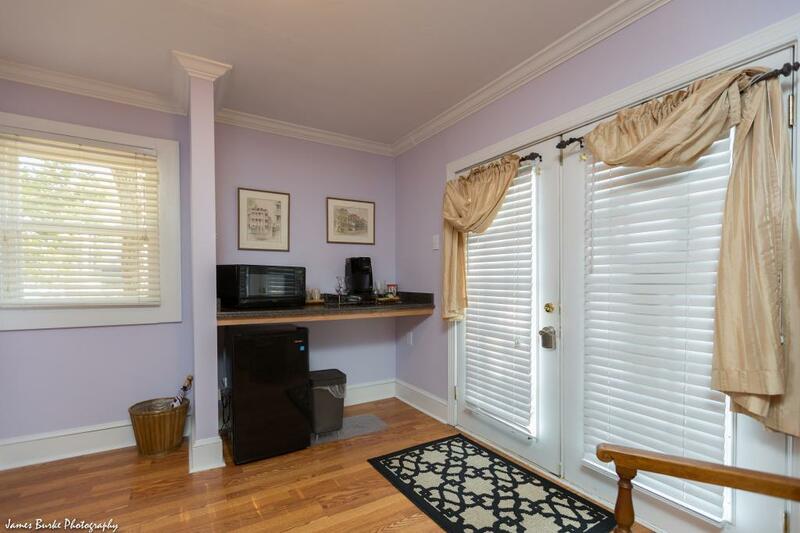 A coffee maker, refrigerator and microwave are available. A rollaway can be added for a fee. This room is pet friendly! The historic Ashford Inn is located in Clinton, North Carolina. We are 45 minutes from Fayetteville, one hour+ from Wilmington and the beautiful NC beaches, one hour from Raleigh, and 20 minutes from the junction of I-95 and Route 40. We are a small, historic inn with five rooms and a pet-friendly cottage. Regrettably, we are unable to accommodate children under 12. Traveling with Fido? No worries! Our Cottage is pet friendly! It is a separate, one level building behind the bigger house, which is easily accessed from the parking area. 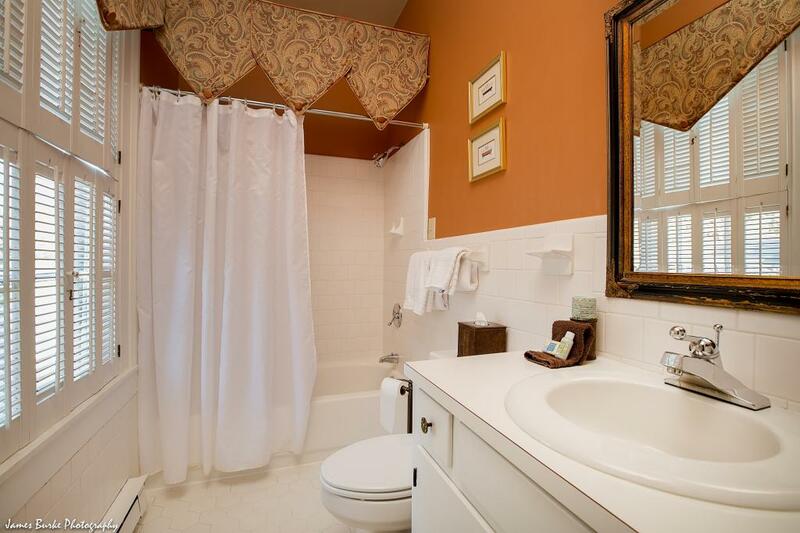 We have one guest room (Fern) on the first floor of the house with a step-in tub and shower. The Cottage is also ground level, with easy access to parking. 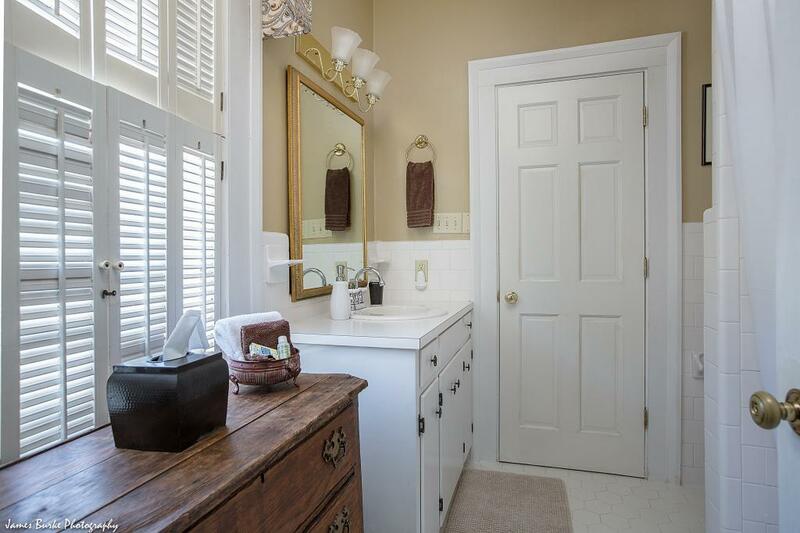 There is a grip bar in the bathroom and step-in tub and shower of the Cottage. All parking spaces are close to the house, which has steps at all entrances. The Fern room is on the first floor of the main house, and the Cottage is at ground level. Parking spaces are close to both entrances. There are grip bars in the Cottage bathroom, but both have step in tub/showers.